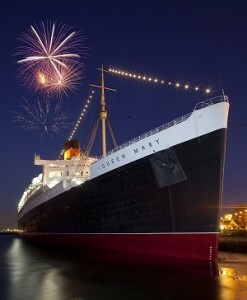 The Conference is located on the historic Queen Mary in Long Beach with much to do right on the ship itself. There is a shuttle bus that leaves frequently and takes you five minutes to downtown Long Beach. Visit the Aquarium, take a day trip to Catalina Island, or spend time in LA with all it has to offer, only twenty minutes away. Registration for the Conference does not include air or hotel reservations. Tax is 15.065%. Facility fee of $7.95 per day includes audio tour of the ship, WIFI, access to the fitness center and 50% off select guided tours and attraction tickets. A portion of the fee is for Queen Mary preservation and restoration. Check-in time 4:00 pm; Check-out time 12:00 pm. Cancellations or changes must be made 48 hours prior to arrival date to avoid charges. Early departure fees may also be applicable.. Contact the SPCP office if you would like a roommate! Contact the SPCP office if you would like a roommate! Twin accommodations are limited so be sure to reserve an appropriate room if you wish to have a roommate assigned. Long Beach Airport (LGB) provides commercial service to 12 nonstop destinations, with connections worldwide. Served by Delta Air Lines, JetBlue Airways and US Airways, and more, and will likely be utilized by those who are relatively close. International travelers will find it easiest to fly into Los Angeles (LAX) and shuttle to the Queen Mary – approximately 22 miles. Prime Time Shuttle share ride is $16 per person one way from LAX to The Queen Mary. Shuttles run every 15-45 minutes depending on the time of day. Contact Prime Time Shuttle at 800.733.8267 (direct 310-563-7922) or on the web (www.primetimeshuttle.com). While you may be able to get a shuttle without prearranged reservation, it is strongly recommended that reservations are made. Photography, videotaping, or any other type of recording is prohibited during presentations. Please refer to information regarding mobile or laptop use on your registration confirmation letter. Des Plaines, IL 60016, USA. SPCP runs a booth at every event for products available exclusively for our members. Members may purchase items such as colorful client brochures, SPCP logo items, and and many publications such as the SPCP Permanent Cosmetics textbook.